With special attention to the carbonation produced by yeasts in drinks such as champagne, beer, cider or kombucha; a tumbler was designed. One can observe a constant development of carbonation, especially in classic champagne flutes or Chardonnay glasses. The effervescence inside the glass - shows the continuous rise of carbon dioxide within the liquid. 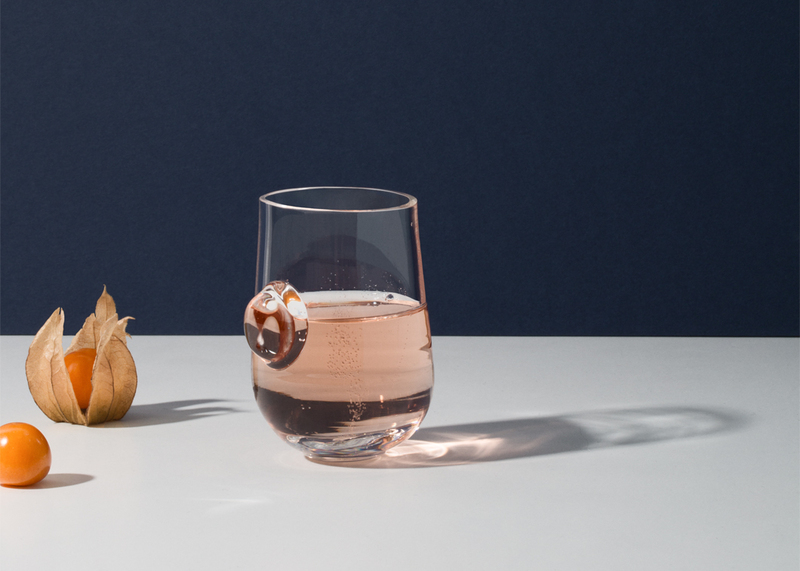 For these tumblers, a special lens was added to the side of the glass for the user - which optically magnifies the chemical reaction happening within their very own drink.
" ... a fun and original design, with an impressive graphic visualisation. The bubble detail, which is reminiscent of a grape, embellishes the glass in a very tactile way. A detail that could be defined almost as ‘playful’: everyone wants to use it."